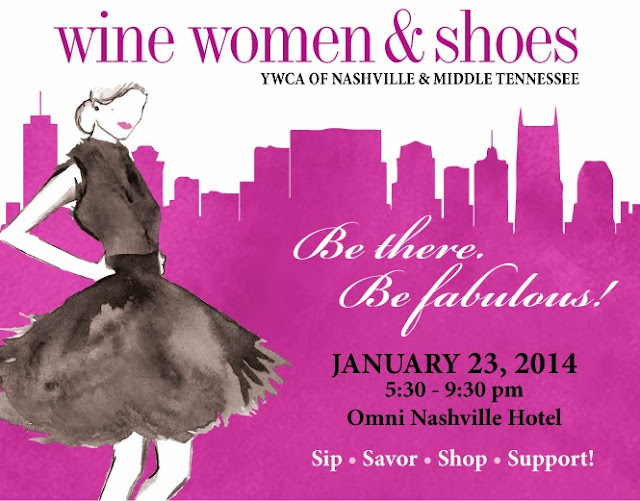 Southern Sophisticate: Wine, Women & SHOES..
One of the most lively events I attended last winter was the first annual Wine, Women & Shoes event to benefit the YWCA of Nashville. It was a cold Saturday, the festivities were held in a warehouse setting and it was in the middle of the day. But, I had a fabulous time along with hundreds of other Nashville area women. I liked it so much that I am actually co-chairing the 2014 event (or basically assisting the real chair since she's doing the hard stuff) with Sunny Spyridon. We've secured the gorgeous new Omni Hotel as a locale, moved the time to an early evening soiree (better for wine drinking and shopping, yes?!) and are adding a slew of new vendors and lucrative, one-of-a-kind auction items. 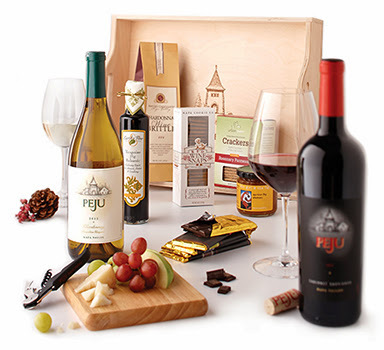 One of the wine vendors for this year's event is the acclaimed Peju. If you aren't familiar with the cause, you need to check out all that the YWCA does for the community-- it is quite a bit, and supportive of women in a very special and needed capacity. Wine, Women & Shoes is a national organization that assists local charities in fundraising by bringing spectacular wine vintners and fashionable marketplace vendors to pair with local businesses for a truly unique experience. for shoes in this season's fab Jimmy Choo campaign. The event may not be until January, but tickets are officially on sale now (Click HERE to get yours). The purchase is 70% tax deductible, so it's best to get them before year end for a bit of a break... and before they sell out. The tickets are also an excellent way to give something special to girlfriends, sisters, employees or others for the holidays. Not only can you donate to a great cause, but will be giving something that those on your list can look forward to after the holidays have passed. Hopefully, you will be joining them in the fun! Nashville Lifestyles is one of the sponsors, so you know that there will be lots of photo opportunities for all who attend. 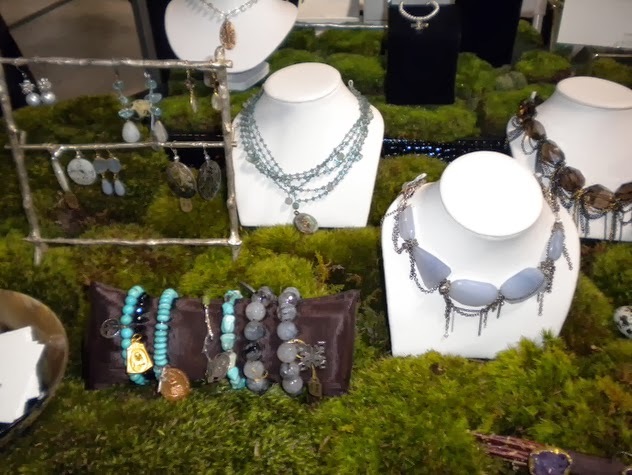 Shot of items in the vendor marketplace at Nashville's Wine Women & Shoes 2013. Everyone loves shoes, most of us are wine fans and as females, we all like supporting causes that empower and support women. This is one event that combines it all... along with shopping for wonderful items with significant proceeds going back to benefit prevention of domestic violence. Vintners are top notch and pours are generous. You can look for exclusive, affordable offerings from select local vendors such as Levy's and JAMIE . There's even going to be an incredible beauty bar with lots of complimentary tips and touches from the experts at Parlour 3 on the day of the event. Mark your calendars for January 23... and get your premium tickets while they last! Watch for more posts, ticket giveaways, prizes and updates on the event here and on the Wine, Women & Shoes and Southern Sophisticate pages on Facebook and Pinterest.